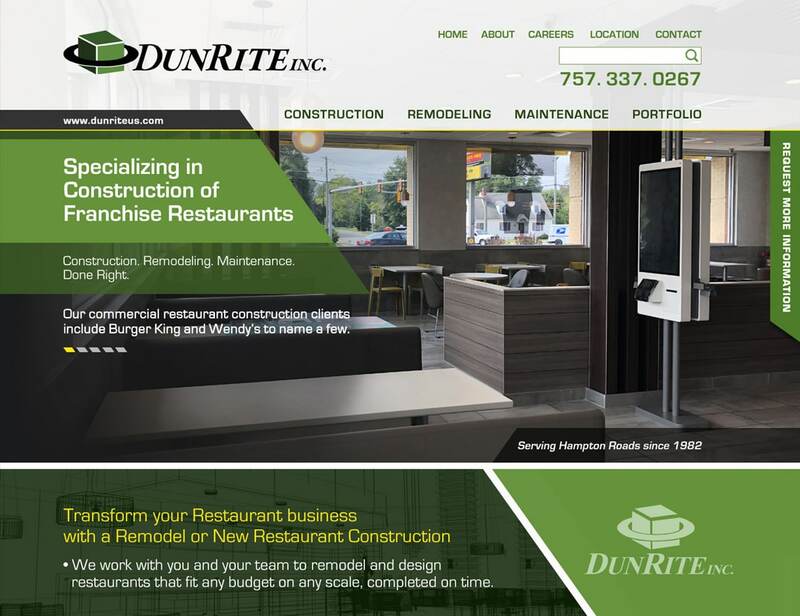 A new redesign to raise brand awareness for restaurant construction services. Website uses professional graphics and Photo Shop graphics. VISIONEFX also uses optimal SEO interior web page coding. SEO is done using highly descriptive written content and photography. When searching Construction Web Design look no further than the web designers at VISIONEFX. VISIONEFX, provides construction web design services to businesses throughout Virginia and the United States. Call: (757) 619-6456 or email info@visionefx.net. VISIONEFX has top Google Reviews posted on Google My Business page. Also see: How do I get Google Home to find my business?